Which Reporting Tools Could Improve Your Sage 200 Analysis? Are you confused about how you should be reporting in Sage 200 and what reporting tools you should be using? There are a number of reporting tools that you can use to pull through and analyse the data you need in Sage 200. The trouble is figuring out which one is the best option for you. 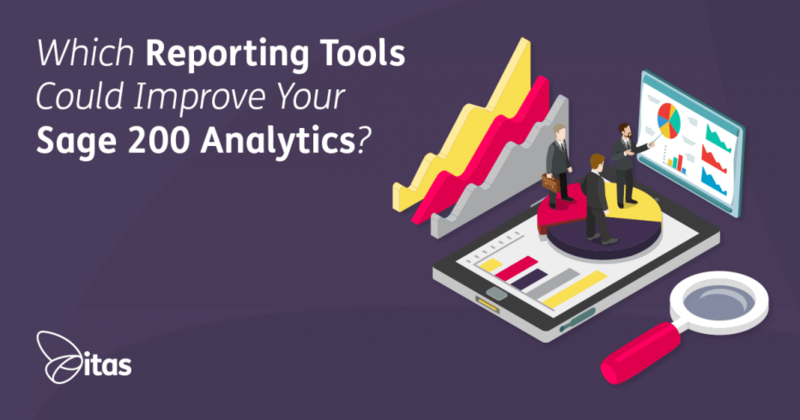 Let’s take a look at each of these reporting tools, and their pros and cons in a little more detail! Our first reporting tool is Sage’s own Report Designer. This is how your standard reports are run in Sage at the moment. It’s a great tool for modifying the default reports to how you would like. Not only can you amend reports but also layouts! If you would like to learn more about report designer, take a look at our e-course here. This feature can be accessed through the Sage menu in the Nominal Ledger. There is no limit to the amount of Profit and Loss or Balance Sheet layouts you can create. We have a guide on how to create Financial Statement Layouts which you can find here. This is another one of Sage’s tools which is its own module in the Sage menu, The data is stored within 13 cubes and there are numerous reports already set up. 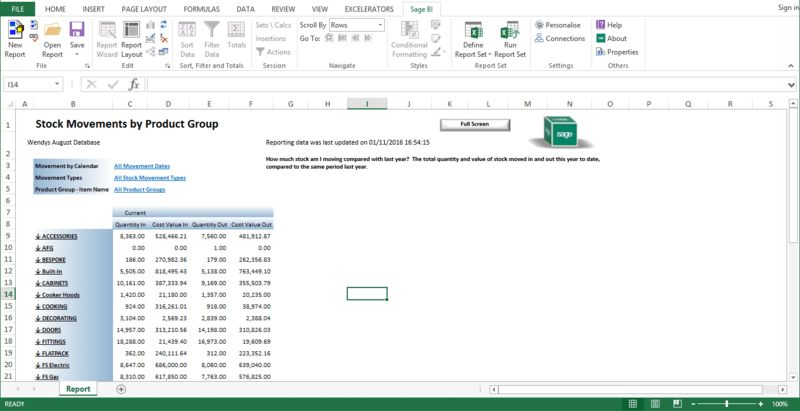 Another way of getting the information you need from Sage is using excel reporting. You can also make amendments to the reports you pull out and upload them back into Sage. This allows you to create links to the Sage database directly. This is useful as you bypass Sage by using the database to manipulate your data. This is a Microsoft tool which allows you to collect and organise the company data you need and put it into a visual dashboard. So there you have it, these are just a few of the reporting tools that we have come across that we can use with Sage 200. Hopefully, you will now have an idea on which are the most relevant and appropriate to you. Home » Sage Blog » All Sage Blog Posts » Which Reporting Tools Could Improve Your Sage 200 Analysis?